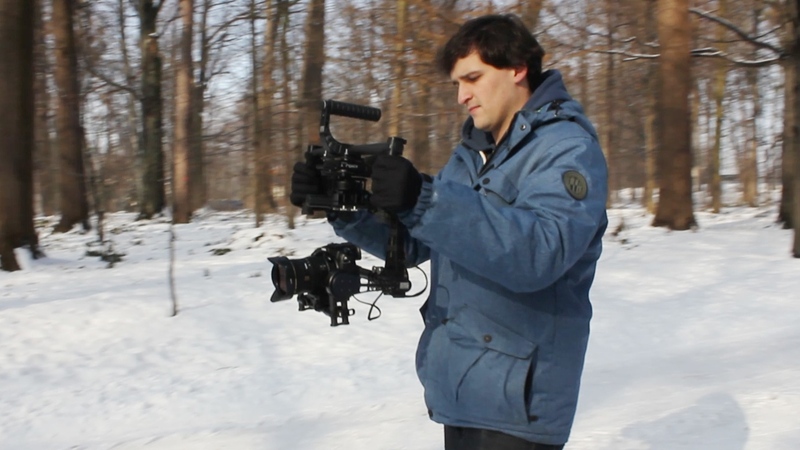 3 axis gimbals stabilize the camera so effectively that you can do long exposure shot handheld. Of course it’s not unlimited, you won’t get sharp image with 5 sec exposure. However it’s good enough to add a lot of motion blur to your shot, just slowly walking forward holding the camera. The basic concept is simple – you set a longer shutter speed, use the intervalometer or low-fps video (like 1 or 2 frames per second) and walk forward holding the gimbal as stable as possible. For my shots I used mostly shutter speed of 0.5″ and interval of 1 sec. It’s a good value for a regular walk with a camera. For a very slow walk I used 1″ shutter speed. That long shutter speed handheld can decrease the sharpness of the image a little bit, however you get an awesome feel of super fast movement thanks to the motion blur that appears in the frame. Objects closer to the camera appear to move faster (so they are heavily blurred) and objects further from the camera move slower, so they are less blurred or just sharp. The result is a super smooth footage. Motion blur is really important – the same speed footage with shutter speed of 1/1000s would be reconized as less smooth by the viewer, even if he wouldn’t know why. The first one is good for straight road. Probably it will cover most of the situations. The second way is for more complicated shots – you can take turns within your sequence. Using the ‘default’ follow profile of course woldn’t give you the best results. In the picture above you can see my settings for the Alexmos gimbal. 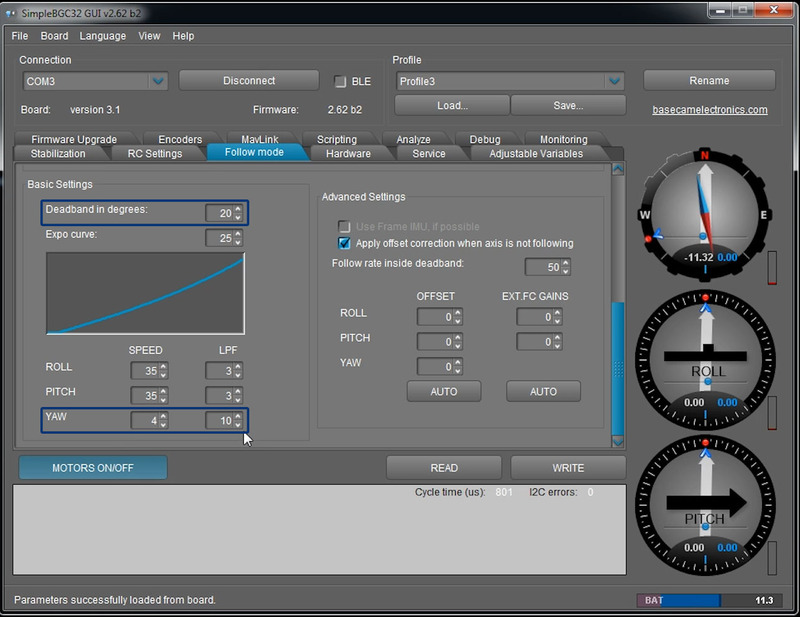 For any other gimbal – look for the yaw axis deadband and speed settings (it could be named differently). The basic idea is simple – increase the deadband so the gimbal skips smaller movements and lower the speed to make it look good in timelapse (standard speed would be way too fast for a timelapse). While shooting you have to predict the turns and rotate the handle before the turn. It depends on your settings, so you should test it on your own. This technique is way faster and simpler than a traditional hyperlapse. Of course I wouldn’t say it’s a replacement for classic hyperlapse, you get different result in both techniques. It’s a great addition for video projects of any kind, I’ll definitely use that a lot. Super, mógłbyś podać wartości z warp stabilizacji? So I am working on a little Hyperlapse project and with a lot of trial and error, its slowly starting to come together. I have about 1 minute edited of the rough cut so far. I still find myself fiddling with the best shutter/interval settings. I have been shooting 1 second intervals and shutter set to 0.8. My biggest issue is maintaining focus. I am using a Rokinon 14mm 2.8 AF lens on the Sony a6500. I’ve been using the AF on the a6500 to lock focus then I will switch over to MF with Focus Peaking turned on when I begin walking to create the hyperlapse. What I am finding, is a lot of my shots are still out of focus. The good thing is that with the motion blur, it doesn’t look horrible but I want it to look awesome and in focus! Ha! Any tips or suggestions on how to create crisp in focus shots while flying the gimbal when creating the hyperlapse? I have been shooting everything at night but I do want to add some daytime shots in my video. When you go to edit, do you think its better to edit all your night shots together and have your daytime shots all together or it doesn’t matter with mixing it up? Last question, I am using the paid Sony Timelapse app. On the settings screen, what is the best Tracking option that you use? I have been keeping mine at AEL but was wondering what the LO-MID-HI was all about. When it comes to focus – handheld hyperlapses with long shutter won’t be perfect. If the focus is set correctly, so most of the frame is sharp, everything depends on how accurate you will be moving the gimbal. Every up-down or sideways movement is on you, because gimbal won’t Stabilize that and such movement will make the frames blurry. In my shots there are always a few frames that aren’t sharp but as you said – it’s not really visible. You could shorten the shutter or delete the worst frames, but it’s not always necessary to get pleasing to eye result. Usually I prefer to connect shots like: day shots, sunset, night shots, sunrise etc. But it’s not a rule. If I don’t have enough footage I just mix them together.